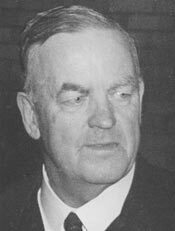 Arnold Richardson was CSIR’s Deputy Chief Executive Officer from 1938 to 1946 and Chief Executive Officer from 1946 to 1949. He was also a Member of the Executive Committee to the Advisory Council of Science and Industry from 1917 to 1926 and Member of the Executive Committee, CSIR from 1926 to 1949. Arnold Richardson was made Companion of the Order of St Michael and St George in 1938. The south wing of the Waite Institute was named the AEV Richardson Laboratory in 1977.